SolarMobil Manipal has successfully raised funds & reached the goal amount. We thank all the 165 generous supporters for their kindness. Change the future of transportation by helping us fabricate India's first solar powered 4- seater passenger vehicle! SolarMobil is a student solar car team from Manipal Institute of Technology, based in Manipal, Karnataka. Our college is a constituent of the esteemed Manipal University. We are a team of undergraduate students of various disciplines of engineering. The team aims to build solar vehicles for a clean future and abides by its motto of ‘Imagineering the future’. Since 2011 our team has built two prototypes in the past, namely – The FREYR-1 and SERVe (Solar Electric Road Vehicle). Our last venture – SERVe was unveiled at a joint press conference with our product development and research partner Tata Power Solar in 2015. The project was awarded the third prize at CII Conference in 2014. We also won the first prize at QuEST Global Ingenium 2015. Our work has been covered by major online and offline publications including BBC Auto, Times of India, NDTV Auto, among others. 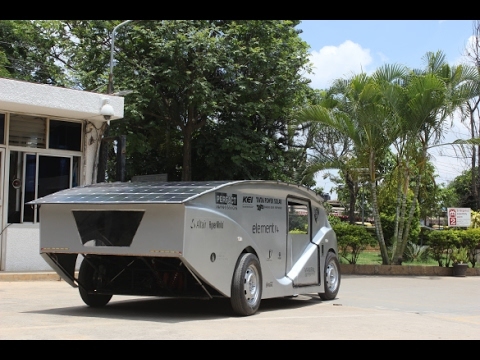 The team is currently working on its third project and intends to build a commercial solar car prototype fit for the Indian roads. Real-time updates for the driver. Two motors for increased power. Emergency and Parking brakes for safety. Wiring as per ARAI regulations. A project of this scale requires sound financial backing along with material support and the requisite tools to reach to the challenge. We hope that you will extend support to this universal cause. Lest we forget, our environment is a shared resource. It is something we all must strive to protect. One simple reason: We care for our sponsors and supporters. The team constantly keeps in touch with all its benefactors and aims to provide them with updates on everything happening in our workshop. We owe all our success to our supporters. The project is operated on a not-for-profit basis. Tremendous social media and print media outreach. The team consists of passionate students who voluntarily spend their time, even weekends and their vacations working on this project. We have all dreamt of the same thing: to shift the automobile industry's dependence from oil to a source for which we don’t have to dig the earth, but just look right above! You can trust us to put your funds to the right use in this project. We are on the verge of completion and just need a little push to get it across the finish line. 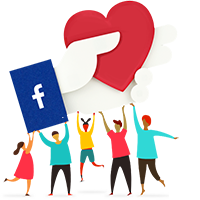 Help us make the world a better place! Feel free to ask SolarMobil Manipal for a new update on this Fundraiser. Your message will be directly emailed to SolarMobil Manipal and you will receive his/her response on the email address entered below. *Mention on website. *Cost of international shipping to be borne by the backer. *Mention on website. *Certificate of appreciation. *Cost of international shipping to be borne by the backer. *Mention on social media. *Certificate of appreciation. *SolarMobil sticker. *Cost of international shipping to be borne by the backer. *Mention on social media. *Certificate of appreciation. 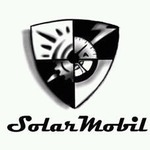 *SolarMobil sticker. *Customized mug. *Small-sized logo will up put up on the car *Cost of international shipping to be borne by the backer. *All rewards of category Greckle. *Medium sized logo will be put up on the car. *Team T-shirt of SolarMobil will be given. *Title of "Guest of Honor" at our car launch *Cost of international shipping to be borne by the backer. *All rewards of category Halo. *A big-sized logo will be put up on the car. *A laptop bag will be given. *Title of “Chief Guest” at our car launch. *Cost of international shipping to be borne by the backer.